This organ was given by Mr. Royal Parker, in memory of his wife, to their common alma mater. 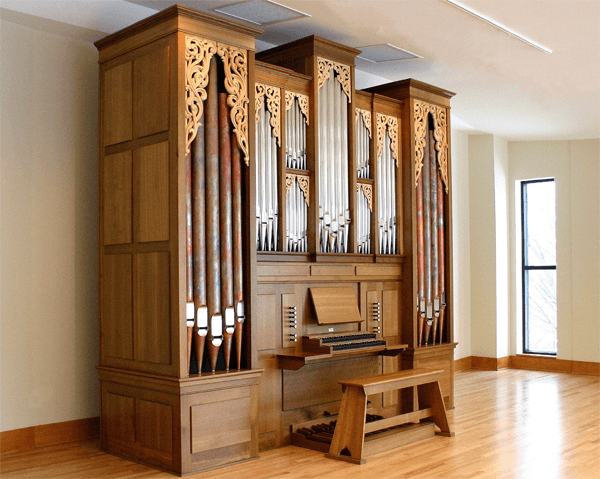 There is a large, Romantic organ at the school’s chapel and our instrument provides a good opportunity to do justice to earlier and more intimate music. We enjoyed the constructive participation of Dr. Richard Konzen, College Organist as well Mr. Parker in the planning of this organ.